TVXQ opened up about feeling nervous for their upcoming comeback after 2 years and 8 months away. The duo are coming back with their 8th album 'New Chapter #1: The Chance of Love', which is their first release since their special album 'Rise as God' in 2015. At their showcase, Yunho expressed they'd been gearing up for this comeback for a while, saying, "We greeted you at our Asia prince tour last year. At the time, we said we'd work hard promoting, and we each released solo tracks. We also did 5 dome tours in Japan. We prepared for our new album and appeared on variety shows as well." Changmin commented, "It's been a while, so I'm really nervous. As much as it's been a while since I'm coming back, we're determined to show you a cool image. We'll prepare really hard." On their new album, Yunho revealed, "We tried to fill this album with love stories. The start of love, middle, and end, so I think fans will get the feeling that it's a novel or musical. I'm affectionate about this album because we participated in everything down to the track list. It's filled with TVXQ stories we haven't shown so far." 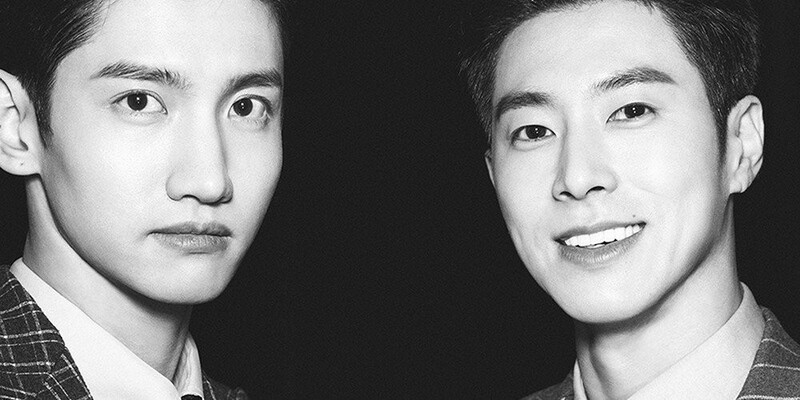 TVXQ's 8th album drops on March 28 at 6 PM KST before their first comeback stage on 'M! Countdown' on March 29.